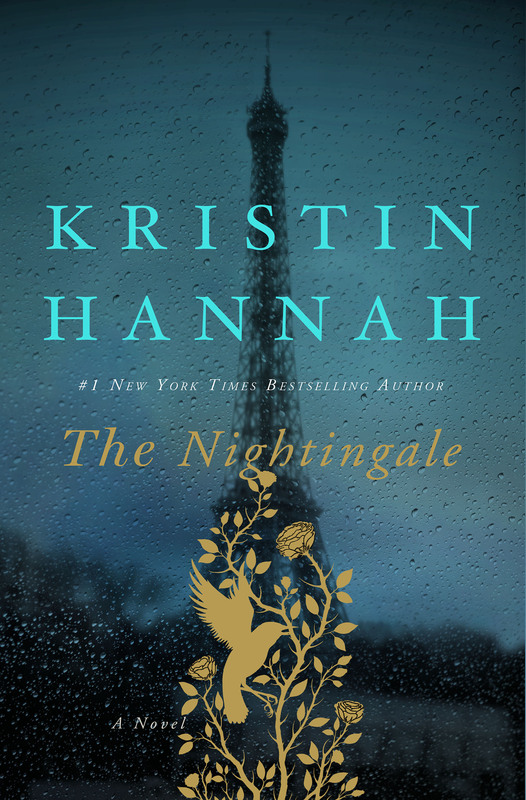 This book is a long, sweeping historical drama about love, family, and war. It takes place in France during the Nazi occupation during World War II. The story goes back and forth between two estranged sisters, Isabelle and Vianne, who are dealing with feeling abandoned by their father and each other along with the increasing desolation and hopelessness of war. Vianne watches her husband and all the men in her small village leave to fight for France. She continues to try and keep her daughter safe despite soldiers moving in and food and supplies becoming scarce. Isabelle can’t stand to watch by and do nothing, so she begins to work for underground networks and aid the resistance. The narrative jumps forward to the present day (well, 1995) life of one of the women a couple of times, although it isn’t clear which sister it is until the very end. I wasn’t really aware of how much France had been affected by WWII and the Nazis, so this was a new angle on the war for me. I read The Storyteller by Jodi Picoult last year, which had a lot of the same historical events happening with it, although Picoult’s book has more of the Gestapo’s point of view than this book does (though still not a lot). This book deals mostly with the two sisters and how their relationship to each other changes throughout the war. There are some side plots, but family is the prominent theme in the book. Also the risks we take to protect those we love and also to believe in love at all. Isabelle falls in love with another member of the resistance, but he pretends he doesn’t feel the same in order to make it easier if one of them perishes, for example. A mother’s love for her children and the risks that she takes (or, doesn’t take) in order to ensure their safety is a recurring plot thread. The book is depressing, and the behavior from the Nazi soldiers made me feel stabby. There’s a lot of sadness in this book, as people die, are killed, or are otherwise abused at the hands of the soldiers. It feels bleak at times. But throughout it all, there is a glimmer of hope in humanity. There are a lot of low lows in this book, but it ends on an uplifting and sweet tone. I highly recommend this book if you want to be swept up in a story about loss and love. This book fulfills the book set in a place you’ve always wanted to visit requirement for the challenge. I began this book feeling excited. 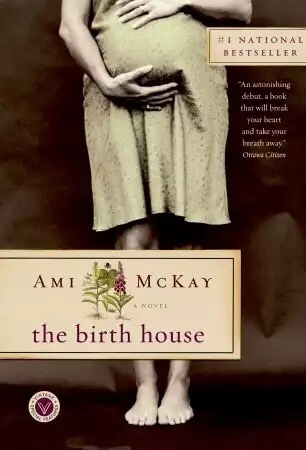 It was about midwifery, set in the province I grew up in. It had to be great! And the first 3/4ths were. But then, it was like a speeding train that half heartedly slipped off the tracks with a giant shrug. The story begins with Dora Rare, with Mik’maq blood deep in the family’s past, the only daughter in a family tradition of sons. A little strange and “witchy”, she’s tormented by class mates and admonished by adults. Her father is uncomfortable with her burgeoning womanhood at 17, and ships her off to live with another witchy woman, Louisiana transplant Miss Marie Babineau, the local midwife. After this is where things started going off for me, but I was willing to accept it, because it was still interesting. Dora is suddenly incredibly knowledgable and wise concerning midwifery in the span of about a year. Dr. Thomas comes into the picture, opening a “maternity home” for the “latest obstetrical advances” that directly competes with Miss B and Dora’s midwifery. Apparently all the expectant fathers are 100% into this new medical childbirth while the women are all nervous about it. Then a confusing courtship begins between Dora and the eldest son of a rich widow, which seems completely out of left field as Dora is even more marginalized as a witchy midwife, despite her chastity. Apparently, Archer Bigelow would rather get it on with the local “loose” woman, but won’t get his inheritance if he marries her because she’s a tramp, or something. So Dora is the next best thing? She’s attracted to him, so she goes for it. But then her attraction is suddenly over once they marry, and she tries to avoid him at all costs. In return, he leaves for long periods. The day of the wedding, Miss B mysteriously disappears, and is never heard from again. We are to assume she died, and found a way to make her body disappear. Or maybe she ascended to heaven, who knows. Archer becomes a controlling jackass, and Dora has to hide her midwifery dabbling as neither he nor Dr Thomas approve (for someone who lives and works out of the area, the Dr seems to know everything), and paint her as a dangerous monster, intent on using backwards remedies and hocus pocus on the local women. She is at a birth at the maternity home and witnesses twilight sleep, and later the postpartum depression of the same mother. Archer conveniently drowns and is out of the picture. Eventually, she is run out of town after she helps a woman have an late term abortion and the woman dies within 24 hours of visiting her. (But don’t worry, she was super conflicted about helping abort the baby.) She goes to stay with her brother in Boston, where he lives with a bunch of transient women who are suffragists, lesbians, artists, and more, across the alley from a brothel. Eventually, her name is cleared, as Abortion Woman’s husband is accused of pushing his wife down a flight of stairs (which killed her in her weakened state), and so Dora returns home. In the last few short chapters, Dora and her newfound sass opens her home as a birth house, unceremoniously runs Dr Thomas out of town, and takes a lover in her deceased husband’s younger brother. And that’s it. Sprinkled throughout are some random historical events, such as World War I and the Halifax Explosion. My biggest problem with the book was how it didn’t connect the dots between all the plots. It was too ambitious, and it didn’t give enough time to develop any of the plot threads. It was like a fleshed out outline, not a novel. McKay could probably have skipped all of the Boston stuff, and elaborated more on the ousting of Dr Thomas. I didn’t feel like his departure was earned. Some criticisms of the book stem on the white hat/black hat nature of the conflict between Dora and Dr Thomas, and I can see that. He does seem a little overtly villainous. The historical elements are just thrown in, like checklist items that needed to be marked complete. The ideas and promise were here in the book, but it just didn’t come together in a way that made the book anything above mediocre. I also would have liked a lengthy postscript about the historical things referenced in the book, like whether the Canning maternity home existed, if the Birth House was a real thing, and maybe some other tidbits about the Halifax explosion and other contextualizing details, rather than the first several chapters of her next novel. This book fulfills the book set in a different country, book a friend recommended, and book that takes place in your hometown requirements.